(not so) tiny notes on WordPress performance optimization! WordPress Preloading Posts / Pages / Images – What, when and how! Web server market is dominated by Apache HTTP server that enjoys its status because of its open source nature and because of its role in bringing the masses to the world wide web. Without it, we may not have had so many web hosts and web sites. However, its memory footprint has been a concern until today. Nginx is the second largest in terms of Web Servers Market Share. While Nginx is still open source, the constant upselling of its commercial subscription may not be welcomed by everyone. Don’t get me wrong. I use Nginx too for its low memory footprint and its efficiency in serving static files. Microsoft’s IIS is third most popular web server. It is rock solid, having its own use cases. OpenLiteSpeed is very limited in its functionality. 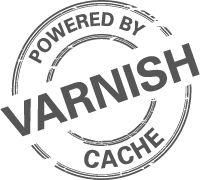 Note (as of August 30, 2017): The original post was published for Varnish 3. A lot changed since then. 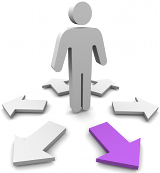 Currently, we have a nicer way to achieve 301 redirects. Thanks! Google XML Sitemaps plugin for WordPress is probably one of the popular plugins in WordPress plugins repository. At the time of this writing, it has been downloaded over 8 million times! It is not a small feat by any means. However, if it is used incorrectly, it can drag your site’s performance considerably. Some web hosts even alert the site owner, if this plugin is used in their sites and politely ask the site owner to remove it at the earliest. So, what’s wrong with this plugin and how can you make use of it without affecting your site’s performance (and your host’s CPU). Let’s dive in!